In this workshop, you will learn from experts in medical device manufacturing, academia, aerospace and defense industries how to use A3. Discover when to use A3, common mistakes, A3 in manufacturing, service and R&D environments, and how to use the tool to ensure your problem stays solved. You will also discover the importance and principles of leader standard work. Workshop leaders will assist you in developing custom leader standard work specific to your needs. This workshop is open to anyone who wants to learn more about how lean and continuous improvement tools can be implemented. Roche Tissue Diagnostics, also known as Ventana Medical Systems, Inc., a member of the Roche Group, innovates and manufactures instruments and reagents that automate tissue processing and slide staining for cancer diagnostics. Ventana products are used in clinical histology and drug development research laboratories worldwide. 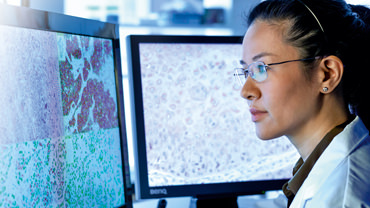 The company’s intuitive, integrated staining and workflow management platforms and digital pathology solutions optimize laboratory efficiencies to support diagnosis, help reduce errors and enable informed treatment decisions. Together with Roche, the company is driving personalized healthcare through accelerated drug discovery and the development of companion diagnostics to identify the patients most likely to respond favorably to specific therapies. Learn more at www.ventana.com.